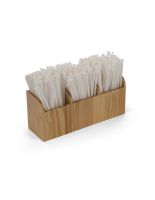 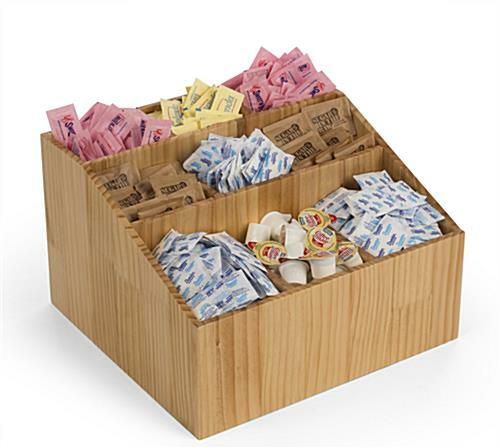 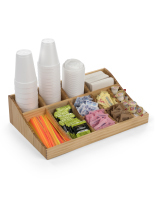 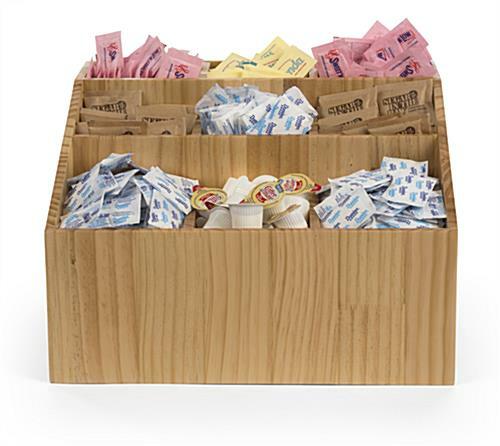 This sugar packet condiment caddy is a convenient, all-in-one organizer tray for single-serve coffee supplies at your restaurant beverage station. 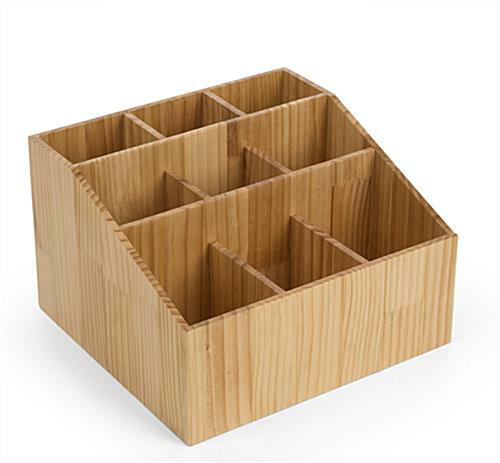 With nine compartments, there is plenty of space to house all your offerings in one location. 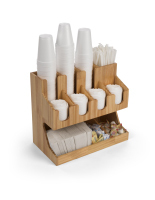 The sloping design of this countertop packet condiment caddy for coffee stations allows for visibility and easy access to each pocket. 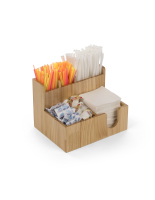 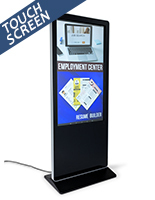 Thanks to its open-top form factor, refilling this supply holder takes no time at all. 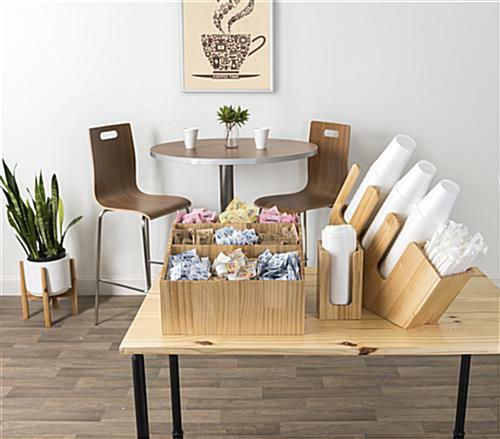 The natural pine wood finish lends itself well to a comfortable atmosphere and brings an element of warmth to any environment. 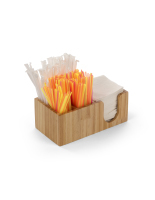 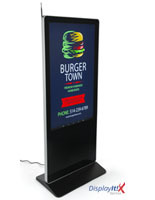 Keep the self-serve station at your restaurant or café free from clutter with this condiment caddy. 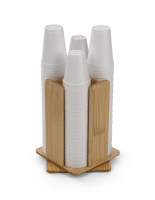 15.0" x 9.5" x 20.0"
4.6" x 7.6" x 3.5"
4.6" x 5.5" x 5.5"
4.6" x 9.3" x 3.5"